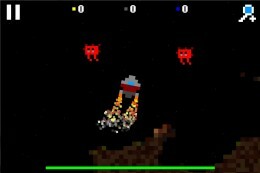 In early December we told you about a neat little iOS project called Rocket Bits [Free] from RegularKid Games. 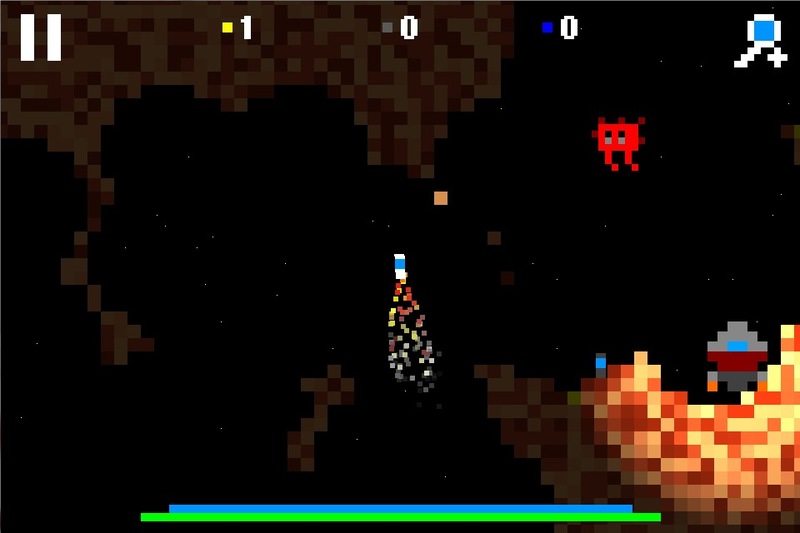 The idea behind Rocket Bits was that it started out as an extremely basic free roaming cave flyer but would evolve over time based on player feedback. Basically, the developer wanted ideas from fans to shape what kind of game Rocket Bits became. Well, Rocket Bits received its 3rd update last week, and it seemed like a good time to summarize the progress that it’s made so far. It’s actually turning out to be a pretty cool little game. 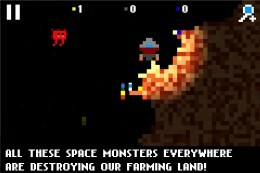 Originally, you could only boost around in your little rocket using left and right boosters and explore a randomly generated cave. And that was about it. 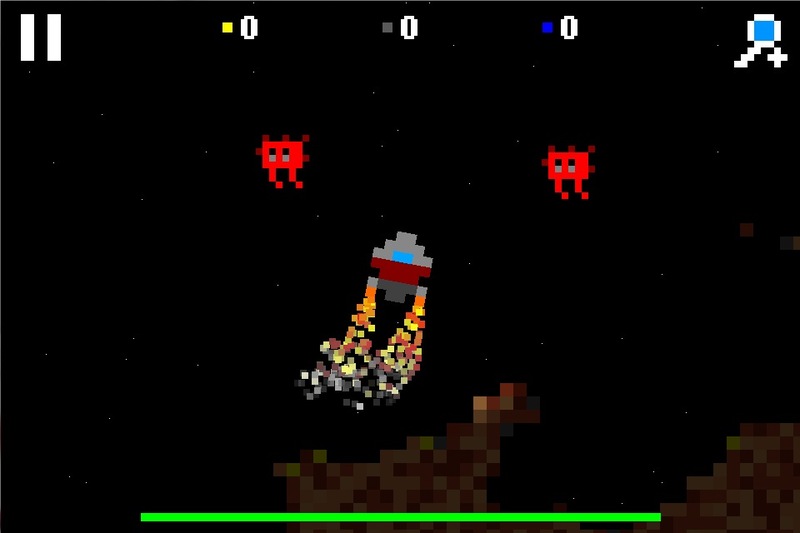 In mid-December, the first update to Rocket Bits added the ability to get out of your ship and collect gold pixels as a form of currency. What do you collect gold for? Who knows just yet, but it’s somehow still fun to grab as much as possible. You’re also able to place light beacons anywhere on the map, to either light a specific area or to mark it so you can find it again someday. In January, the second Rocket Bits update was released and added even more complexity to the gameplay. Basic missions could now be found scattered around the map, and when outside of your ship your little dude now had his own jetpack to putt around with. You could also place bombs and blow up parts of the terrain, though it didn’t really have a purpose beyond just being destructive. An improved mini-map and UI accompanied the ability to randomly generate much larger maps to explore. Finally, last week brought the 3rd update, and it further builds on the elements introduced in previous updates. There are now enemies who don’t do much more than very, very slowly move towards your position, but they can become a nuisance if you ignore them too much. There’s also a new mission type that requires you killing these enemies with strategically placed bombs. 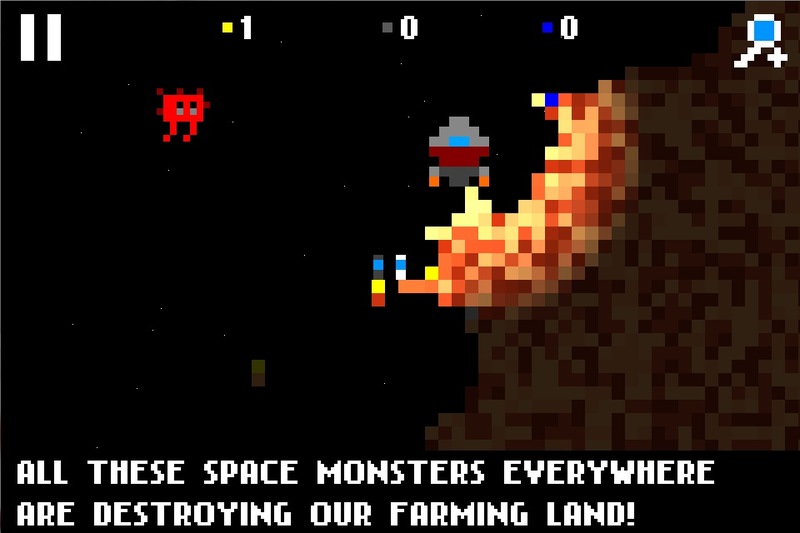 Your spaceman has health now too, so if you get hit too much by an enemy, let your oxygen run out while outside your ship, or just plain blow yourself up with a bomb then you’ll end the game and will have to start anew. There are 3 save slots now so you can keep multiple games going or let other people play their own profile.